ALL THAT REMAINS – From the very onset, with the intro Now Let Them Tremble… All That Remains establishes the Metal fact they are not going to sugarcoat a damned note on their fifth studio album – … For We Are Many, released on October 12, 2010 on Prosthetic Records/Razon & Tie. I would never expect anything less than a fast, furious and angrier than a yellow jacket wasp sound from All That Remains, on their new album. That intro really did lead me down the path to an excellent Metalcore storm that … For We Are Many is all about. The Metal pride of Western Massachusetts has fabulously delivered on their new album, making it very difficult for me not to write a 5,000 word review on it. For We Are Many has Philip Labonte belting out vocals that more than border on Death Metal, he exhibits some ear popping vocal noise that is a welcomed part of All That Remains brand of Metal, to my ecstatic ears. 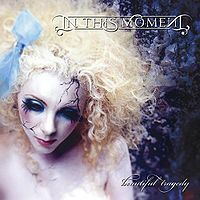 Philip can diversify vocally, like a Metal chameleon he resonates with gritty harmony on The Last Time, a straight edged Metalcore song that exemplifies why this genre can claim it’s Metal legitimacy in my Metal History book. If there could ever be an accessibly Extreme Metal song, then The Last Time is it. If I have said it once before, I shall say it once again… Oli Herbert is a Metal asset to All That Remains. It’s just a matter of time before Oli becomes a household name amongst the Metal masses, if he hasn’t become one already. Oli can shred, just listening to the leads he comes out with is reason enough to become a fan of All That Remains. Plus, when I listen to Oli on any song, it’s listening to a guitarist who obviously reveres Old School Metal and Hard Rock, by incorporating the vibe of yesterday into the Metal of today. Not to ignore Mike Martin on guitar, he has more devastating licks in his Metal bag of guitar tricks than I can count. Anytime I listen to All That Remains, especially now with their latest album, I want to scream out to the Metal community that Oli and Mike are a Metal guitar duo that can’t be contained… they have been unleashed unto the here and now and listening to these guys is a Metal reality check. 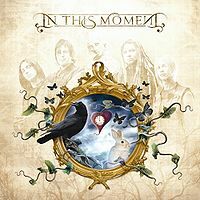 From The Outside is a song that exemplifies exactly what I’m trying to convey here, Metal be thy name this song explodes with guitar driving force. Now, try to name off five bass guitarists in all of Metal that are female. Nice try. Jeanne Sagan has been the Metal thunder glue for All That Remains since the 2006 diamond in the rough… The Fall Of Ideals. Jeanne isn’t gonna shy away from letting her Metal presence known… she plays stompingly tight alongside drummer Jason Costa, making this All That Remains band a formidable force. I really liked this band lineup on 2008’s Overcome, now I really, really, like this All That Remains lineup. If Keepers Of Fellow Man doesn’t get your adrenaline fired up, then your probably in a frozen state of consciousness. Melodic driven, with the heaviness of duo guitars, a rhythm section spiraling out bombastic beats and Philip’s barbed wire vocals, carries this song in unison, to stadium crowd heights. Uh, yeah, Keepers Of Fellow Man is more than likely my favorite song on this album. This song is just one of twelve, that truly are all Metal encompassing, like an impermeable net dropping down on my brain and making me succumb to it’s Metal stranglehold. 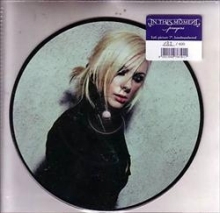 The Waiting One is such a fantastic song that having it be the album closer is genius. 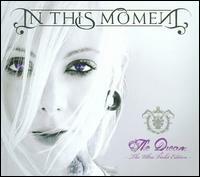 This song is Heavy, even with it’s breakdowns and intervals of acoustic guitar. The layering affect of The Waiting One is what gives it it’s Metal brilliance. Plus, Philip Labonte exhibits a vocal soft side that quite frankly should be exposed more often. Philip gives off the same Metal cool when he croons as he does when he growls and shouts… in my Metal opinion. All That Remains makes their Metal flow with plenty of melodic moments married with their trademark Metalcore sound throughout … For We Are Many. The heaviness is apparent, like a supercharged continuum, therefore, loyal All That Remains fans can’t possibly be disappointed with their new album. As each All That Remains album gets released, I hear more strength and confidence in the songwriting and music across the Metal board from this excellent band. Adam Dutkiewicz returns as producer for this new All That Remains album. (Jason Suecof produced 2008’s Overcome). Adam is like a New England “National Metal Treasure”… he has that “knack” for bringing this Metalcore sound and vibe into a state of exceptionality. 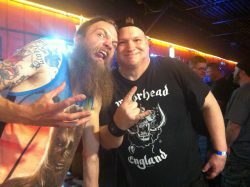 Anyone familiar knows Adam is a multi-instrumentalist and music producer that has helped catapult his band, Killswitch Engage, into mega-Metal notoriety. The Metal accolades I have bestowed upon this new All That Remains album, is due to the sheer fact that this album finishes what it started, a heightened sound and feel to what these twelve great songs give off. With acute care into the songwriting and lyrics, while succeeding in the balancing act of melodic and Heavy Metalcore on … For We Are Many, Philip Labonte, Oli Herbert, Jeanne Sagan, Mike Martin and Jason Costa should by now, have some Metal swagger in their steps. LONG LIVE ALL THAT REMAINS. 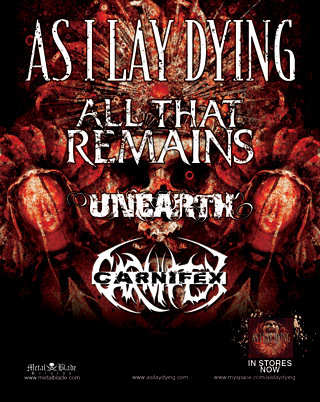 AS I LAY DYING – FALL NORTH AMERICAN 2010 TOUR SCHEDULE WITH ALL THAT REMAINS, UNEARTH & CARNIFEX! 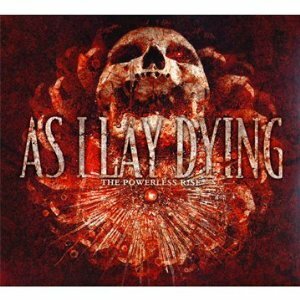 AS I LAY DYING are touring in support of their album The Powerless Rise, released on May 11, 2010, on Metal Blade Records. 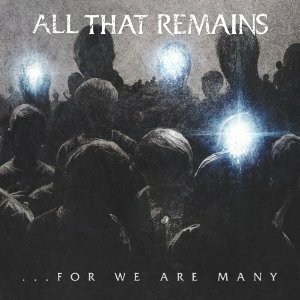 ALL THAT REMAINS are touring in support of their album … For We Are Many, released on October 12, 2010, on Razor & Tie. 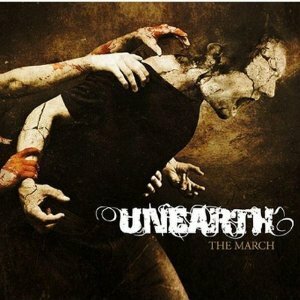 UNEARTH are touring in support of their album The March, released on October 14, 2008, on Metal Blade Records. 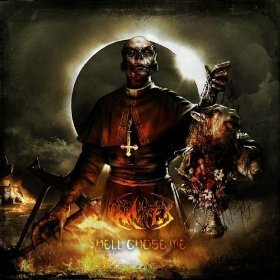 CARNIFEX are touring in support of their album Hell Chose Me, released on February 16, 2010, on Victory Records. These are some potent and seriously brutal Metal Bands! DARKEST HOUR – TO ENTER STUDIO & ANNOUNCES PRODUCER FOR NEW RECORD! 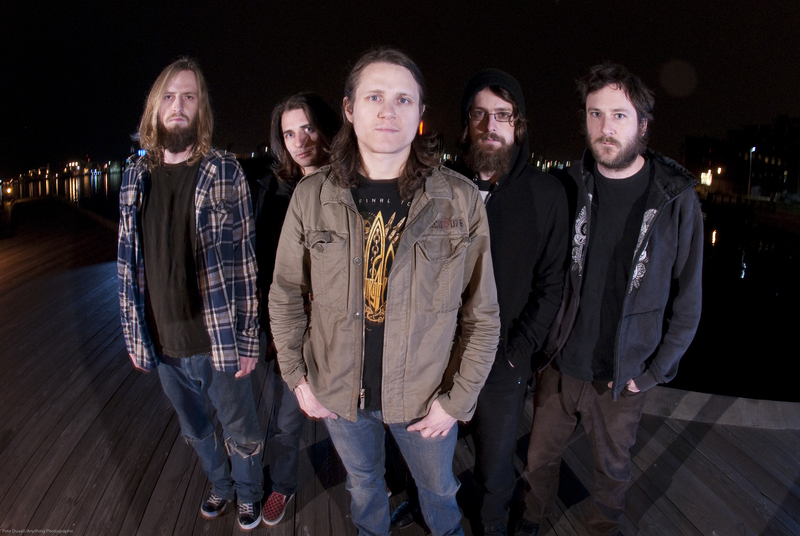 (New York, NY) — DARKEST HOUR are about to enter the studio and they have announced that they are teaming up with renowned SOILWORK shredder Peter Wilchers. The band has put a lot of time and thought into choosing the right producer for this record and they’re convinced they’ve found one. “We’re really excited about working with Peter on this album. It’s going to be amazing collaborating with such an inventive and unique guitarist/musician to produce and document what we feel is the most emotional and melodic Darkest Hour album to date,” says drummer Ryan Parish. With records such as ALL THAT REMAINS’ “The Fall of Ideals” and SOILWORK’s latest effort, “The Panic Broadcast” under his belt, DARKEST HOUR are quite confident in what Peter brings to the table. “Peter is someone we’ve admired and very much respected as a musician and producer for quite some time. Being a pioneer of the Swedish metal sound, (which has so greatly influenced our band) we hope to refine all of those classic elements with him and incorporate new methods to improve our songwriting” says font man John Henry. This time around, these songs we’re done a bit differently. Guitarist and founding member Mike Schleibaum explains, “We have been working on these tunes ever since we left the studio lastD April. The Eternal Return was written during a very dark, bleak time for the band and I think that record matches that in both tone and character. Our vision was for it to be an in your face, no frill aggressive assault. The new material shares in that aggression and pushes Darkest Hour beyond the unknown.” The new songs are just about finished and ready for the studio. “I am very exited to work alongside the Darkest Hours guys, and I know from hearing some of their new material that it will be a killer one,” says Wilchers himself. For more information on DARKEST HOUR and their experience in the studio with Peter, visit http://www.darkesthour.cc for updates over the next few months. GO GET ‘EM DARKEST HOUR!